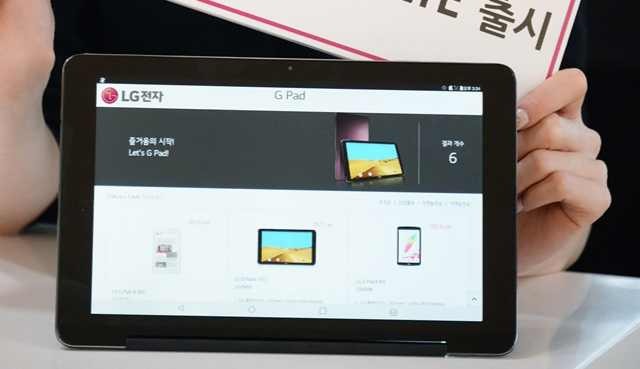 LG has launched the G Pad III 10.1 Android tablet. Recently, images of the tab were leaked by the tipster @evleaks. The device comes with a 10.1-inch screen with 1920×1200 resolution display and LTE. The tablet features a built-in kickstand with up to 70 degrees of adjustment. There’s a ‘Time Square’ UX, which can be used as a desk clock, tabletop calendar, or digital frame. LG is also giving away Microsoft Office Suite with G Pad III 10.1 tab. LG will bring a version of the device with a stylus pen will be launched early next year. Finally, you can get the tab for KRW 429,000 (around $360). Currently, the device is only available in South Korea.